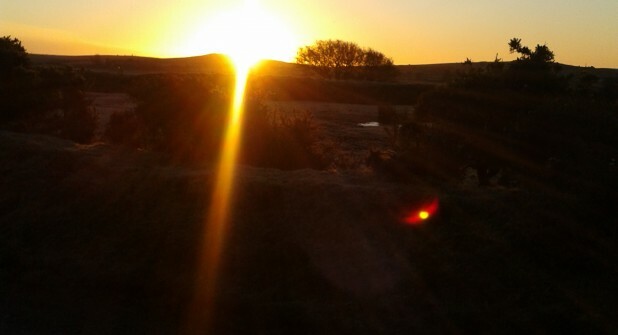 February 2013 will be remembered for the magnificent sun rises over Bodmin Moor. Arriving on the moor at 7.45 am most days, we watched at Irish as it slowly rose over Hawks Tor, or stood high up on Kerrow Downs as it ascended over Caradon Hill to the East of us. One morning, unfortunately without camera, we trundled over the cattle grid to be met by the most fantastic sky I have seen in a long time. Bright orange, cerise, crimson, purple,blue and yellow yelled at us from above. 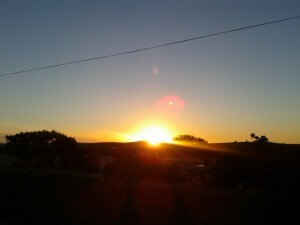 These events only last for a few minutes before day time takes over and the world starts beating normally – a special moment in time and a great way to start the day. As the month draws to a close night time temperatures have decreased, providing another phenomenon, the night time skies over Darrynane. I awoke a couple of nights ago around 4.am and looked out the of the window to see a glorious star littered sky. It was too early for me to identify any of the constellations but the sight was enough to make me gasp. When the boys left Darrynane for the city and town they both talked about missing the night sky and couldn’t wait to get home to see it again. Obviously it is not a nightly occurrence which makes it all the more special when it does appear. I have just looked up from writing this and sitting at the top of a tree in the woods is a Buzzard. His head turning occasionally! 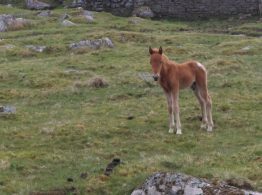 We have a few weeks left in March so if anyone is thinking of a early Spring holiday or break why not check the dates on our website and email or give us a call. If you wish to see more follow us on twitter and like us on facebook.